Fabricated from 1” square steel with black powder coated finish. 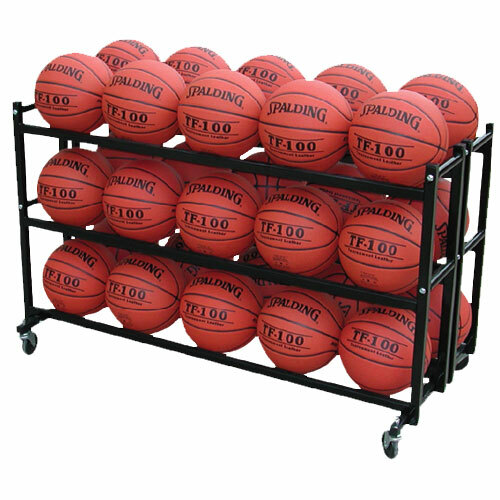 Holds 30 official size basketballs. Dimensions: 49”L x 24”D x 30.5”H. Shipping weight: 54 lbs.